Banff, Alberta, is one of Canada’s top summer tourist destinations. The town and national park that share the name offer visitors one of the most picturesque scenes in the country, drawing in enthusiastic campers, hikers and those looking for an ideal Alberta road trip, with its unique naturalistic charm. In 2017, the flow of visitors heading for Banff is expected to grow substantially. This year, Canadains can obtain a free park pass in celebration of Canada’s 150 anniversary, allowing for unlimited use of all national parks. That means all national parks are expected to be packed from May to September, while the most sought after locations are already booked solid. Mount Engadine Lodge, about 65 km from Banff, has stated that it’s already too late for a family looking for a weekend visit this summer. Talking with CBC News, Simon Harvie, the general manager of the lodge, said, “Jump on the waiting list. Weekends from now until the end of September are pretty much fully booked.” It would be reasonable to suspect that long-weekends are hopeless at this point. Though the news may frustrate would-be travellers, the Alberta Hotel and Lodging Association is optimistic that 2017 will mark one of the most profitable summers in memory. “Last year, Banff was pretty much at capacity. It was one of the best seasons they’ve ever had,” said president of the board, Dave Kaiser, who only expects an increase in visitors this year. 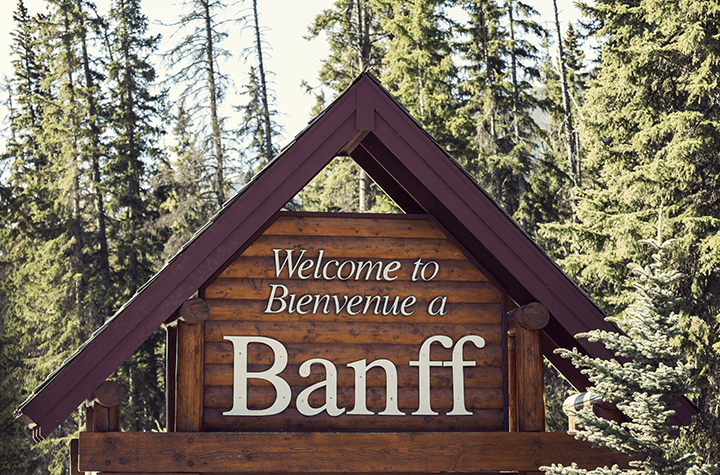 Though the expected crowds may turn some potential visitors off, Banff will, as always, be worth a visit, as we recently recommended to readers. Just remember to take the proper precautions before heading out on a road trip to Banff, or anywhere else, this weekend.